At one point, one of the characters in Chaurahen (“Crossroads”) asks another if he thinks she’s a ghost. She asks it as a rhetorical question about the state of their relationship, but I’d been wondering if she actually was a ghost before she voiced the question. There’s something about the characters in Chaurahen that seems out of sync with reality. 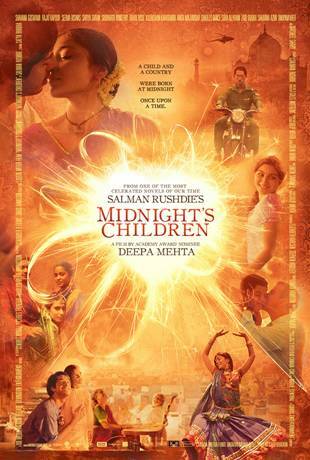 The film is an adaptation of three short stories by author Nirmal Verma. I’m going to assume that much of the original dialog made it from page to screen, because the way that the characters speak to each other feels very written and inorganic. Thematically, the interwoven stories are linked by death, specifically the way the death of a family member affects the living relatives left behind. The theme is most obvious in the best of the stories, concerning a young man who returns home to Kochi following the death of his older brother. Nandu (Arundathi Nag) debates how long he has to wait to return to his happy life in Vienna after his brother, Keshi, is killed in military service. His parents seem desperate for Nandu to stay but know nothing about their youngest son, having previously reserved their affection for seemingly perfect Keshi. It’s a painful yet perfectly understandable situation. Death also haunts the life of a young writer in Mumbai, Farooq (Ankur Khanna). He lives in a few rooms of a giant house he inherited from his deceased parents. When Farooq’s girlfriend, Ira (Soha Ali Khan), asks for a tour of the rooms Farooq keeps locked, she learns that her boyfriend is mired in grief. Ira’s the character who asks if she’s a ghost. For a while, I honestly wasn’t sure if she was or wasn’t (she’s not, I don’t think). Ira and Farooq speak grandly about philosophical issues, taking at each other and not to each other. I found it hard to muster compassion for them. The final plotline is indirectly about literal death and more about the death of a relationship. There’s a lingering resentment between Dr. Bose (Victor Banerjee) and his lonely wife, and he pursues a romantic affair with a blonde French girl who works at the local used book store. This Kolkata-based story is at its most interesting when it focuses on Dr. and Mrs. Bose (Roopali Ganguly), and less so when focused on Dr. Bose and Lea, the young woman. Most of the problem is the clunky way Lea is played by Kiera Chaplin (Charlie Chaplin’s granddaughter). Chaplin’s acting is wooden, and she even walks with a stiffness that diminishes her allure. The acting overall is uneven. Ira’s pretentiousness is minimized somewhat by Khan’s innate likeability. The actors in Nandu’s storyline, including Nandu himself, are good. The film ends with several of the characters from the disparate storylines crossing paths at what is presumably the airport in Kochi. Why would the characters from Mumbai and Kolkata chose to fly out of Kochi instead of closer airports? Logic is abandoned for the sake of a memorable closing shot. That shot is emblematic of my problems with Chaurahen. It’s a movie about ideas and feelings but lacks the substance to make the experience meaningful. Chaurahen looks great and is well-paced but needs more finesse. 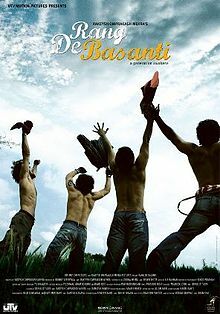 *Despite having been completed in 2007, Chaurahen opened in Indian theaters on March 16, 2012. The film is internationally available for streaming on Mela. Chaurahen has a runtime of 87 minutes. Its dialog is primarily in English with some Hindi. 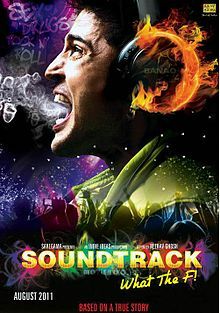 This entry was posted in Reviews and tagged 2 Stars, 2007, 2012, Ankur Khanna, Arundathi Nag, Bollywood, Charlie Chaplin, Chaurahen, Crossroads, Hindi, Indian, Kiera Chaplin, Mela, Movie Review, Nirmal Verma, Roopali Ganguly, Runtime, Soha Ali Khan, Victor Banerjee on March 16, 2012 by Kathy. The only Hindi movie playing in Chicago area theaters the weekend beginning Friday, March 16, 2012, is Kahaani. The terrific thriller carries over for a second week at the Big Cinemas Golf Glen 5 in Niles and AMC South Barrington 30 in South Barrington. Other Indian movies showing at the Golf Glen 5 this weekend include Ee Adutha Kaalathu (Malayalam) and the Telugu films Mr. Nokia and Nuvva Nena. 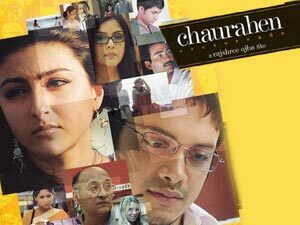 After making the festival rounds for several years, 2007’s Chaurahen (“Crossroads”) is finally being released theatrically in India on March 16. The English-language film is an adaptation of three short stories by author Nirmal Verma and stars Soha Ali Khan. To coincide with the Indian theatrical release, streaming video service Mela is making Chaurahen available in the U.S. on Friday as well. The film can be streamed via Mela’s set-top box, Roku player or iPad app. Check Mela’s website for details. This entry was posted in Weekly Theater Updates and tagged 2012, AMC South Barrington 30, Big Cinemas Golf Glen 5, Bollywood, Chaurahen, Chicago, Crossroads, Ee Adutha Kaalathu, English, Friday, Hindi, Indian, iPad, Kahaani, Malayalam, March 16, Mela, Movie, Mr. Nokia, Mr. Nookayya, Niles, Nirmal Verma, Nuvva Nena, Rajshree Ojha, Roku, Soha Ali Khan, South Barrington, Streaming, Telugu, Trailer on March 15, 2012 by Kathy. It’s unfortunate that Tum Mile — a rare Bollywood disaster movie — was released on the same weekend in the U.S. as the Hollywood disaster epic, 2012. Scenes of catastrophe take a backseat to romance in Tum Mile, and the characters never really seem to be in mortal danger. It’s the obvious second choice for theater-goers looking for thrills. The action in Tum Mile takes place on July 26, 2005, the day historic rainfall swamped Mumbai, causing mass strandings and over 1000 deaths. Think of the destruction Hurricane Katrina caused to New Orleans about one month later — only in a city with 28 times more people than pre-Katrina New Orleans. Lead characters Akshay (Emraan Hashmi) and Sanjana (Soha Ali Khan) meet unexpectedly on a plane bound for Mumbai. They used to be lovers, but they haven’t spoken in several years, since a painful breakup. They exchange business cards upon landing and go their separate ways, as the rain begins to fall. The bulk of the film consists of flashbacks chronicling the couple’s initial meeting, obstacles to their relationship and their eventual breakup. It’s more detailed than is necessary to show that Akshay and Sanjana still harbor feelings for each other. In fact, the excess of backstory has the effect of making Akshay an unsympathetic hero. While dating, Akshay first resents Sanjana for financing his floundering art career. When he follows her advice and gets an office job, he resents her for making him abandon his art. At one point, Sanjana asks, “Why does he have to make it so hard for me to love him?”. Khan plays Sanjana as understanding and self-confident, and it’s hard to believe that she’d still have feelings for him after so many years. The present-day story arc kicks in when Mumbai’s streets start to flood, and Akshay gets a sense that Sanjana is in danger. He sets out to search for her in the rain. On foot. In a city of 14 million people. Miraculously, he finds her after she’s escaped from a flooding car — not that the audience actually gets to see her escape. One minute she’s in a flooding car, and the next minute, she’s walking through the flooding streets. Rule #1 of disaster movies: show the escape. Akshay and his buddy, Vic, take shelter with Sanjana on a stalled bus to wait for the waters to recede. A tree falls on the bus, threatening to roll the bus on its side, blocking the main doors. Everyone on the bus panics as though death is imminent, though an inconvenient escape via the rear exit or windows seems the worst likely outcome of a tipped bus. While floods are unquestionably deadly, the “danger” in Tum Mile never feels very dangerous. In Titanic — a movie that clearly inspired Tum Mile, right down to the scenes of the male lead painting the female protagonist’s portrait — the ship is in danger of sinking to the bottom of the ocean. The prospect of a bus rolling on its side in four feet of water on a city street isn’t nearly as terrifying. This entry was posted in Reviews and tagged 2 Stars, 2009, 2012, Bollywood, Emraan Hashmi, Hindi, Indian, Movie Review, Mumbai Flood, Soha Ali Khan, Titanic, Tum Mile on November 15, 2009 by Kathy. Tum Mile will open in the Chicago area at the Big Cinemas Golf Glen 5 in Niles and AMC South Barrington 30 in South Barrington. The movie has an official runtime of 2 hrs. 20 min. The enjoyable comedy Ajab Prem Ki Ghazab Kahani sticks around for a second week at the Golf Glen 5, South Barrington 30, AMC Loews Pipers Alley 4 in Chicago and AMC Cantera 30 in Warrenville. In addition to Hindi films Tum Mile and APKGK, the Golf Glen 5 is also showing Heer Ranjha (Punjabi), Kurradu (Telugu), Olave Jeevana Lekkachara (Kannada), Swa Le (Malayalam) and Village Lo Vinayakudu (Telugu). This entry was posted in Weekly Theater Updates and tagged 2009, Ajab Prem Ki Ghazab Kahani, AMC Cantera 30, AMC Loews Pipers Alley 4, AMC South Barrington 30, APKGK, Bollywood, Chicago, Emraan Hashmi, Friday, Heer Ranjha, Hindi, Indian, Kannada, Kurradu, Malayalam, Movie, Niles, November 13, Olave Jeevana Lekkachara, Punjabi, Runtime, Soha Ali Khan, South Barrington, Swa Le, Telugu, Tum Mile, Village Lo Vinayakudu, Warrenville on November 11, 2009 by Kathy.